Is the Superhero Sequel Glass’ Strong Enough? Read the Review! Fans who watched the first Glass trailer at last summer’s Comic-Con presentation went berserk over the sight. There they were, all three characters of M. Night Shyamalan’s superhero world, reluctantly sitting next to each other in a sparse room. 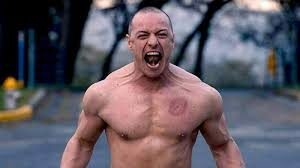 Kevin (James McAvoy) has 20 different personalities, including the vicious beast that tore women apart in 2017’s Split. David Dunn (Bruce Willis) has extraordinary stamina. Mr. Glass (Samuel L. Jackson) controls people with his mind. They dueled in 2000’s Unbreakable. Each man possesses extraordinary gifts that have never been seen on Earth. Recap: Dunn was the only survivor of a massive train crash and Kevin can go on all fours and scale walls! And yet in this thriller, all three characters fall victim to the most feared cinematic force of all . . . the underwhelming, unengaging story. Don’t even think about infiltrating if you’ve avoided the previous two installments. Shyamalan already assumes that moviegoers know that Kevin doesn’t know how to harness his “horde,” which leads to multiple kidnappings and deaths. Dunn sees himself as a vigilante who must track him down and prevent further danger. He comes to the rescue early on, saving four cheerleaders. This should have been the climax of Split; instead, it’s the catalyst for the tedious proceedings in the sequel. Both guys end up in the Philadelphia psych ward. It’s the same institution where Mr. Glass — i.e., the highly fragile man that can penetrate evil with his brain — has been locked up for a while; long enough for him to hunch over in a wheelchair with glazed-over eyes. 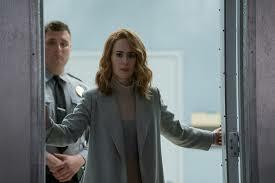 They’re all under the care of a way-too-attentive expert, Dr. Ellie Staple (Sarah Paulson). She explains that she specializes in patients with illusion of grandeur; i.e., people who believe that they’re legit comic-book superheroes. Her job is to examine the crazy out of them until they’re mentally stable. Poor Kevin is zapped with bright white lights in his room every time he flashes an aggressive new personality. Mr. Glass, however, has a secret agenda. Paulson is such a fine actress that she manages to sell her laughably silly psycho-babble about frontal lobes. Only in this movie can a doctor seek out the help of a young survivor of Kevin’s prior kidnapping (Anya Taylor-Joy) because of her ability to calm his insecurities. Sure, OK, whatever. I suppose the academic, controlling academic is an upgrade over the way females were portrayed in the macabre Split. Kevin let Taylor-Joy live; he ate her friends alive. But the character has too much camera time as the newbie of the bunch. Considering Glassis nearly 20 years in the making, I’m surprised Shyamalan doesn’t give his veteran stars more to do. Maybe it’s not a coincidence: Since 2000, roughly 282 beloved superheroes and villains have entranced us on the big screen. A classic reluctant hero and anarchist bad guy seems quaint by those standards. Paulson herself acknowledges it during one of her many monologues. But Willis and Jackson don’t bother bringing anything fresh to the characters. They mumble their lines, seemingly aware of the nostalgia act. The use of old, unused Unbreakable footage doesn’t help. Only McAvoy livens up the joint with his shameless scenery-chewing. Channeling 20 characters is no small accomplishment. A lot of lip service is paid to the wondrous mythology of comic books. It’s more annoyingly meta than profound. Think about wink-winks to Marvel and Superman and origin stories and Comic-Con itself. Lines like “This is the part in the comic book where . . . “ The auteur is clearly paying homage, even if he seems to forget that action and narrative tension is what keeps fans turning the pages. Both are amiss here, especially the clumsy climactic sequence. I’m glad that we don’t have to watch CGI’ed buildings blow to bits, but, really, a water tank in a parking lot? Since 1999’s The Sixth Sense, Shyamalan has carved a niche by writing and directing original tales with that third-act gotcha. I know everyone in the audience was waiting and waiting for the ooohs and ahhhhs, even staying until the end of the closing credits to see if the middling final scene had a tag. It didn’t. Indeed, the real twist is that the middling Glassends on a predictable whimper and not a shocking shatter to pieces. I see disappointed people. I appreciated reading your review. 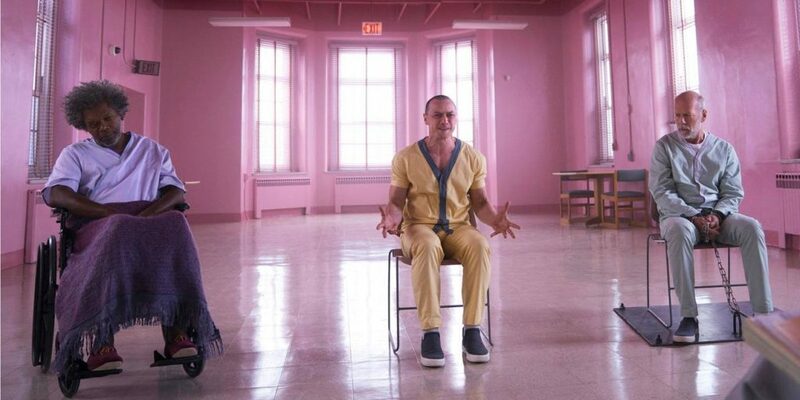 I was worried about Glass because Shyamalan is so inconsistent. Split worked for me until the end although I know most people don’t feel that way. Thank you! Split was a big hit for a reason — a lot of people liked it. This is better but still meh overall.